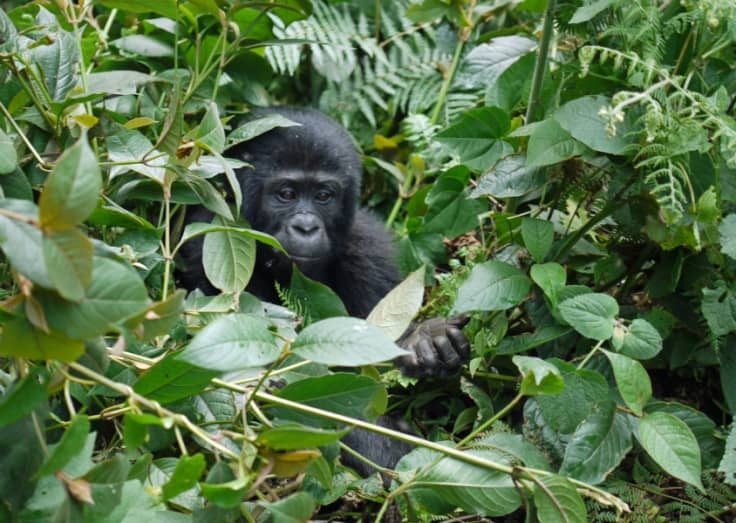 On the sixth day of the Rwanda Overland Safari, there will be an optional Gorilla Trekking Experience. It acts as the main tourist attraction of the area and vital to the conservation of Bwindi Impenetrable Forest National Park. Gorilla permits should be obtained in advance, while the full day of gorilla appreciation is non-inclusive in the safari payment(it is an extra cost). Visit Rwanda Superb Safari for the trip’s itinerary. The forest is located in South-Western Uganda(Kigezi Highlands), in the Kanungu District, along with the DRC border. Due to their close proximity, the Rwanda and Uganda Trekking activities sometimes take place out one after the other. Seamlessly blending the experiences, but of course, at the customer’s discretion. The mountain gorillas are a subspecies of the Eastern Gorilla. But with longer jaws, hair, and teeth but shorter arm. The males adopt a unique ‘silverback’. This is the main reason for visiting this region, so not mentioning this activity would be completely unreasonable. With their looming endangerment just a few years ago, this region was set out in 1991 in order to protect their worldwide population. It had dwindled to just 620 individuals(due to hunting, disease, war, and destruction of their forest habitat) in 1989 to around 880 at the moment. As Bwindi is their main sanctuary, a census in 2011 proved that they were on their way to repopulation, with a total of 400 primates with the Virunga population accounting for 440. 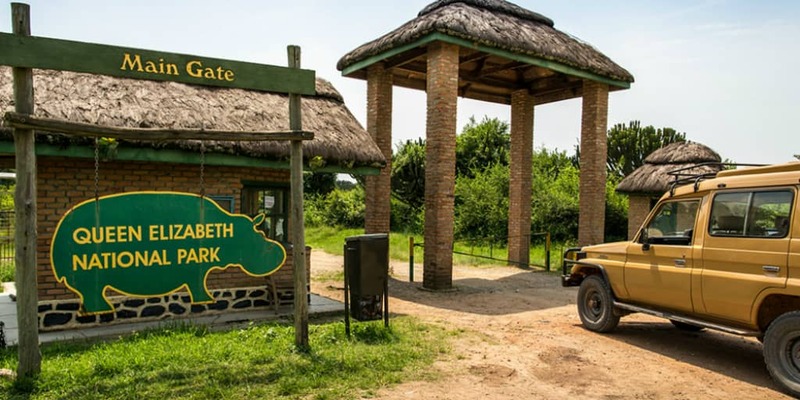 This is a three-hour expedition through the two main attractions, Buhoma Community Rest Camp and River Muyaga. This sheds light on the people, their culture and way of life. The stop at Buhoma highlights how the ladies weave the baskets for sale. Purchasing these handcrafted items guarantees appreciation. That, together with the ones who till the land for crops like tea show how hardworking these people are. Known as the land of abundant plantains(bananas), it is no surprise that the locally made alcoholic brews like beer and gin are made of these exotic fruits, the highlight of the visit to River Muyaga😉. Finishing up the trip you get to experience their traditional dances and song in all their glory. With over 300 species of birds that nest in this region, it is no surprise that this is a hot zone for the enthusiastic birder. 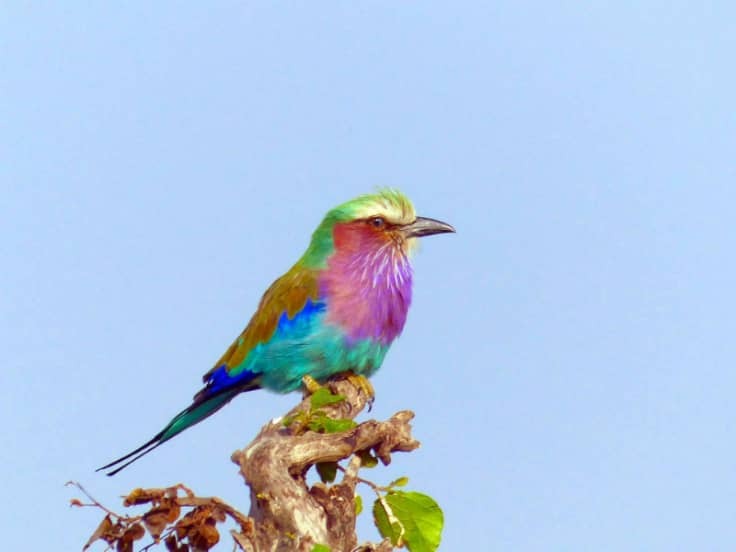 Ranging from the unique Lilac Breasted Roller to the Black-throated Apalis. Bwindi never ceases to amaze in terms of what colorful critter you will come across. From the team, blessed Sunday and a lovely week ahead!